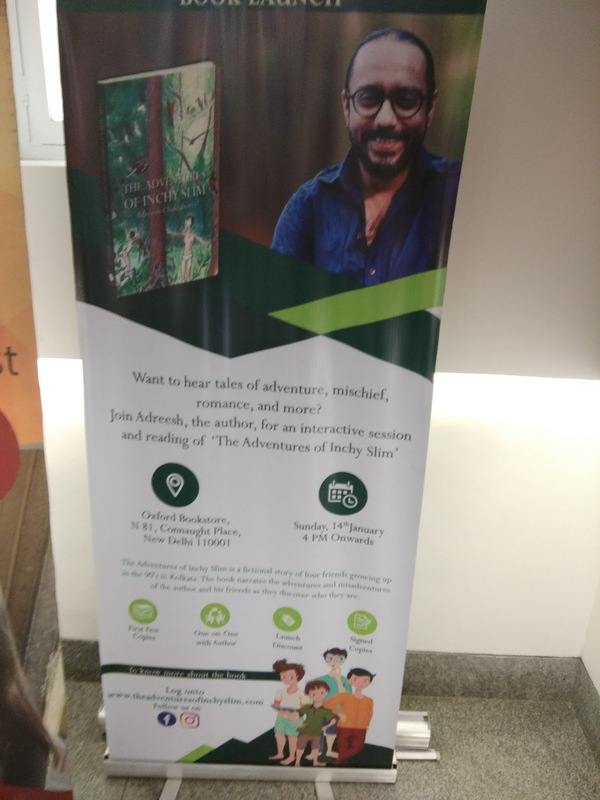 Renowned Architect Adreesh Chakraborty released his first book ‘The Adventures of Inchy Slim’ at Oxford Bookstores Connaught Place on the 14th of January 2018. The book launch event was attended by authors, along with the author’s friends and family. The Adventures of Inchy Slim is a coming of age story of 4 boys growing up in the 90's in Kolkata. The story is a fictional retelling of the author's childhood adventures and experiences while trying to discover himself and his identity. The protagonist Inchy Slim and his friends – Clumsy, CalC, and Tomato get themselves in and out of trouble while dealing with teachers, bullies, sadhus, and a local goon. The story is inspired by author's childhood adventures and experiences while trying to discover himself and his identity and includes an assembly of characters including angry teachers, drug-peddlers, sadhus, and even the local goon. The story unfolds against the backdrop of a complex colonial city; from its grand architecture, old wooden buses and missionary schools to the fears, expectations, and aspirations of its people. The Author Adreesh Chakraborty is an award-winning architect, product, and interior designer and co-founder of The Earth Home, an architectural, interior, furniture, and brand design company. Adreesh completed his Bachelors in Architecture from Sushant School of Architecture and Design and has worked on Residential, Healthcare, Educational, Institutional, and Hospitality projects. “The idea for the book sprung out of a conversation with my wife’s friend when I was sharing my childhood experiences and mischief with her. She was both amused and inspired by my journey and advised me to pen down my experiences in a novel. I started writing that night, and a year later the book was born.” said Adreesh, the author.